For some, getting choppered to the top of a sheer drop and left to find your own way down sounds like a very bad and somewhat dangerous joke. But for thrill-seeking downhill adventurers, heliskiing is the last word in must-do experiences. 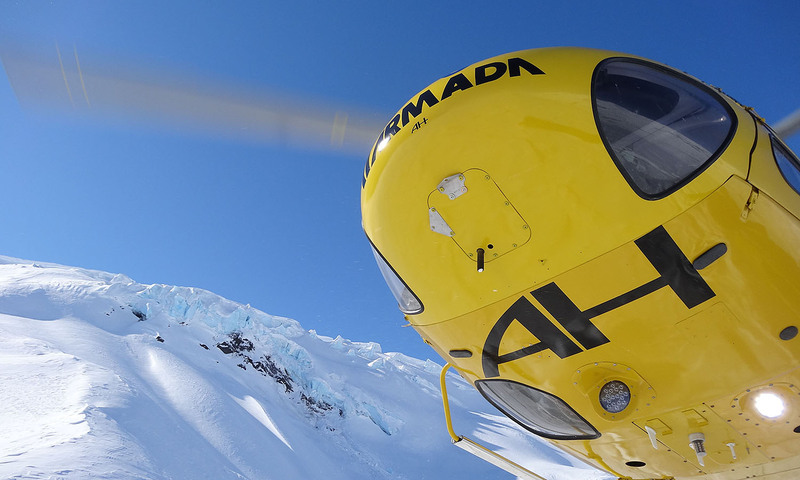 There are a number of operators in Alaska, but we’re into Alaska Heliskiing. Why? Because while the operation is located right on the Canadian border near Haines and ventures to places with runs you can usually only dream about, it’s also got a huge range of options, including some for those who may be light of pocket. For instance, you can go for the whole package – seven nights in a fantastic lodge, 30 runs in the heli, everything included – for about US$6,250, or you can do a day in the big bird for about US$1,050. Totally strapped for cash but hankering for some heli action? A single run costs US$185. More complete packages lasting the whole week go for US$6,250, so you can let your wallet decide how much you love heliskiing. This is the ultimate test in adventure skiing, and we wouldn’t recommend it unless you really know what you’re doing. You’ll have to pay a deposit of US$1,000 per person for weekly packages and US$500 per person for daily skiing. Any runs that are cancelled due to weather will be saved as credit to be used within a year, however the season is only open during March and April.